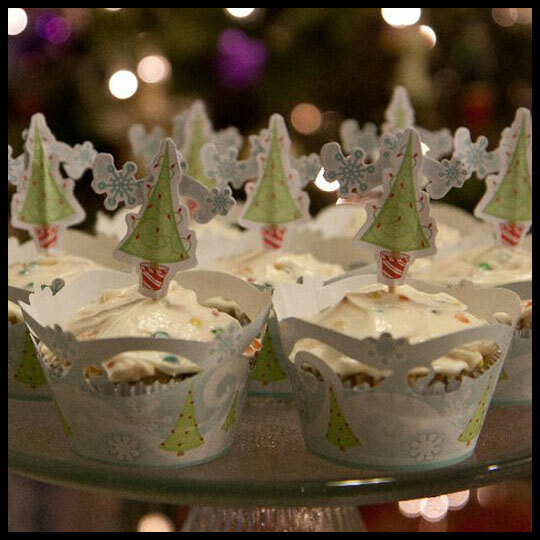 I know the first day of winter really isn’t until December 22nd, but since today is December 1st, and it’s finally cold after the warm streak we’ve had, I thought would be fun to share some creative ways to dress up your cupcakes for the season. While the decorations in the photo above lean more towards the Christmas side of winter, below I’ve shared some that are strictly winter-themed so that anyone of any background or religion can enjoy. 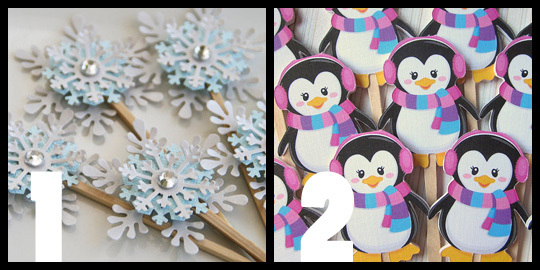 Even people living in warm weather can enjoy a snowflake or cute penguin, right? If you’ve come across winter-themed items you don’t see below, please share them in our comments section! We are always looking for fun decorations and know our readers will enjoy it as well. 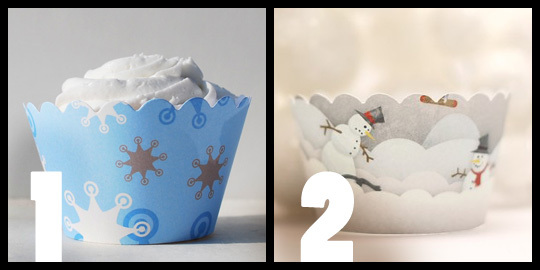 We hope these ideas have helped you spark new ideas or use these to jazz up your own cupcakes this winter. Cupcakes are fun, so have fun with them! This entry was posted in Cupcakes and tagged Cupcake, cupcake liners, cupcake toppers, cupcake wrappers, decorations, edible, fondant, winter by Stacy. Bookmark the permalink. 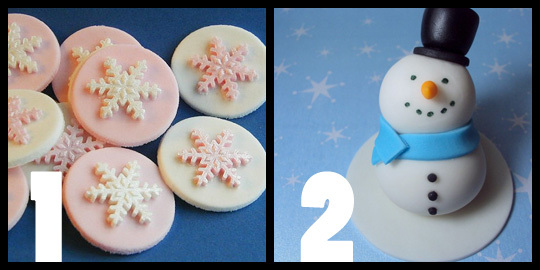 Thank you for showcasing my edible snowflakes cupcakes toppers. I really enjoyed your blog and learning about the wonderful cupcake shops you have explored. yum! You are very welcome! I’m so glad you stopped by and enjoyed reading our blog! Thank you!